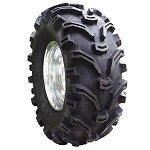 - In most cases our Kenda ATV Tires ship out same day! 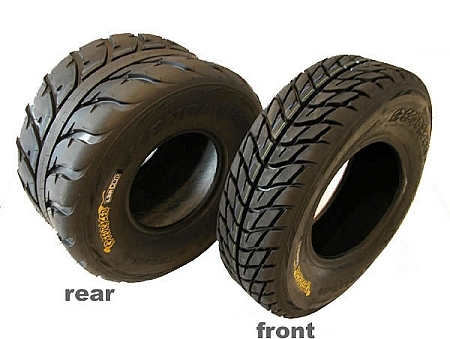 - Kenda Speed Racer tires are sold individually. - Not DOT approved for On-Road use. Q: I have a full size adult go kart that seats two. I need to replace the knobby tires with street tires. Front tire size is 19x7 00-8, rear tire size is 22x11 00-10. Do you have these street/racing type tires? Q: Are these tires considered every day street tires to drive on paved roads? 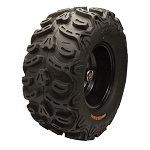 A: These are ATV/Cart tires that are designed to be driven on hard packed surfaces, so yes I think they would do the job for what you are needing. Q: 700r raptor .tier size are 22/7/10 and rear 20/10/9 will I have to buy new rims for the kenda speed racer tier?